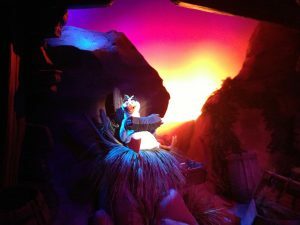 In honor of the New Fantasyland opening at Disney World tomorrow (and as a follow-up to my Be My Guest post) I’ve decided that I need to share more of our Disney adventure with you! 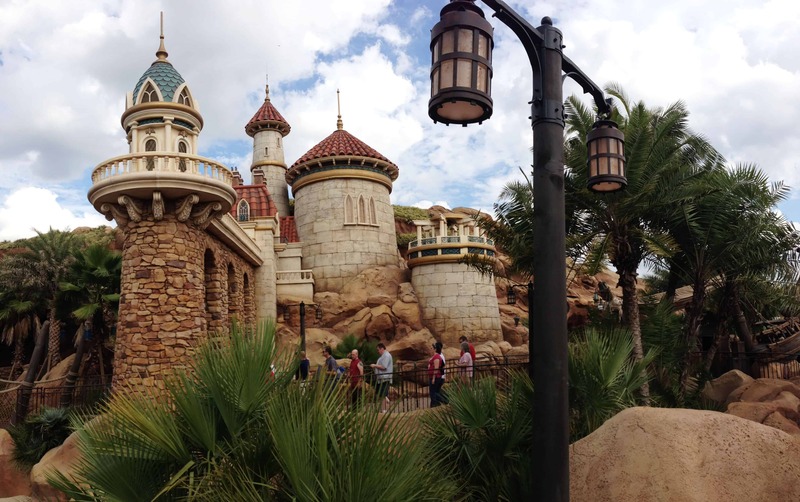 We spent a little time every single day at the Magic Kingdom park and always walked over to the New Fantasyland. When we checked in to our hotel we found out that they were having a soft opening of all the rides before the official open date of December 6th. You can only imagine how ecstatic I was after hearing the news! 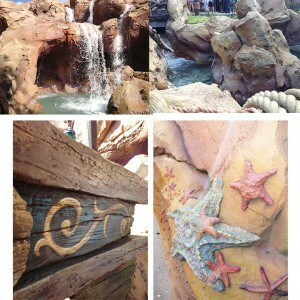 I think we rode Ariel’s Under the Sea ride at least ten times, and every time was better than the last! I’m pretty sure I’ve memorized it by now (and it probably helps that I video taped it). One of my favorite things about the ride is walking in the line. The first thing you see is Prince Eric’s castle, and as you start walking through you find out that all of Ariel’s possessions have washed ashore. Once you go inside Scuttle is there to entertain and keep you company. I tried numerous times to get pictures of him but they never came out. 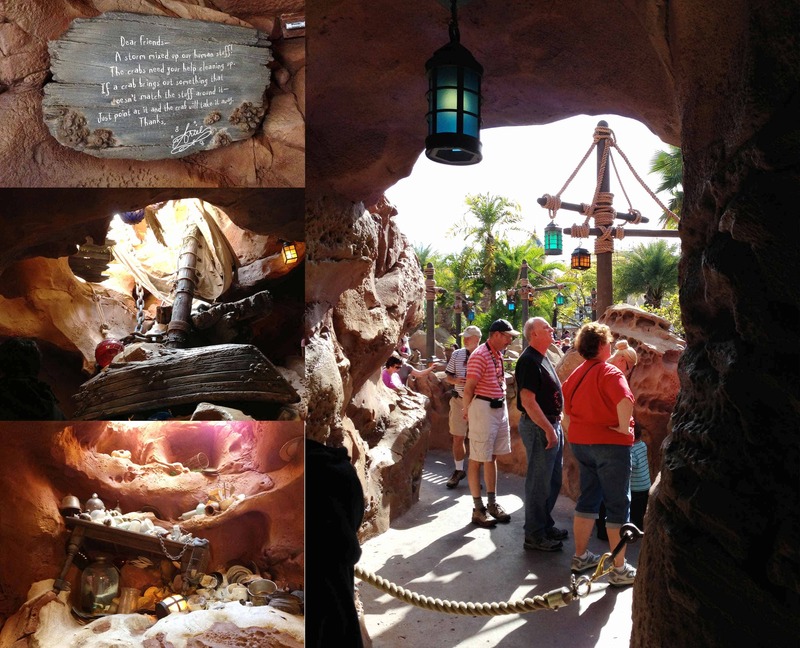 After Scuttle you walk through one more room (Ariel’s cave) and then you’re up to the ride! It is so much easier to describe while looking at pictures, so here we go! I hope you don’t mind looking at the hundreds of one’s I’m about to post! Here are a few of the details the Imagineers put into the design of the ride. They did a really great job! As you walk through the line there is a game you can play. 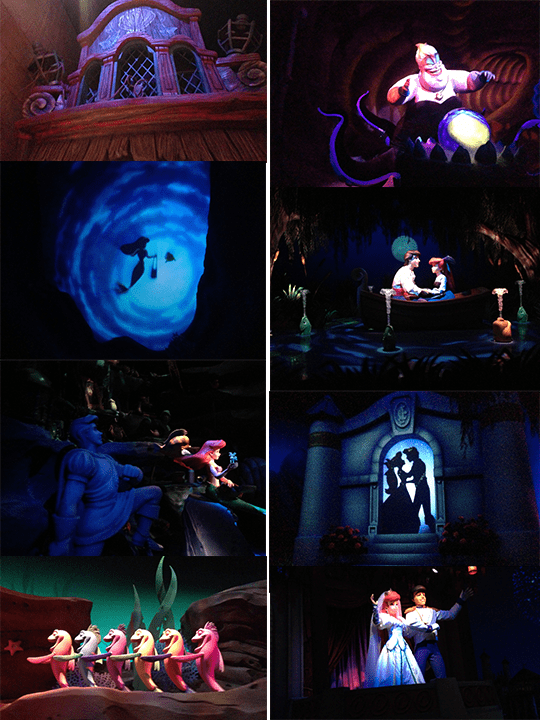 Some of Ariel’s possessions have washed ashore and you need to put them back in place. C and I had fun playing while we waited for the ride! This is the only photo of Scuttle I have. He sits at the beginning (and end) of the ride greeting you and then saying goodbye. Photos from the actual ride. Hi there, I discovered your blog by way of Google at the same time as looking for a related matter, your website came up, it appears great. I’ve bookmarked it in my google bookmarks.